Suffering from mental distress? Or have you? Why not try a gentile mixed class, it’s suitable for beginners and more experienced students. These Yoga classes can help you achieve a sense of peace-of-mind and balance resulting in a sense of calmness, helping to reduce stress and anxiety. Would you like to learn how to meditate? why not join our class onthe last Wednesday inthe month and learn how to relax. Our Yoga class and increase fitness, improve flexibility and general health, helps reduce stress, frustration and anxiety. 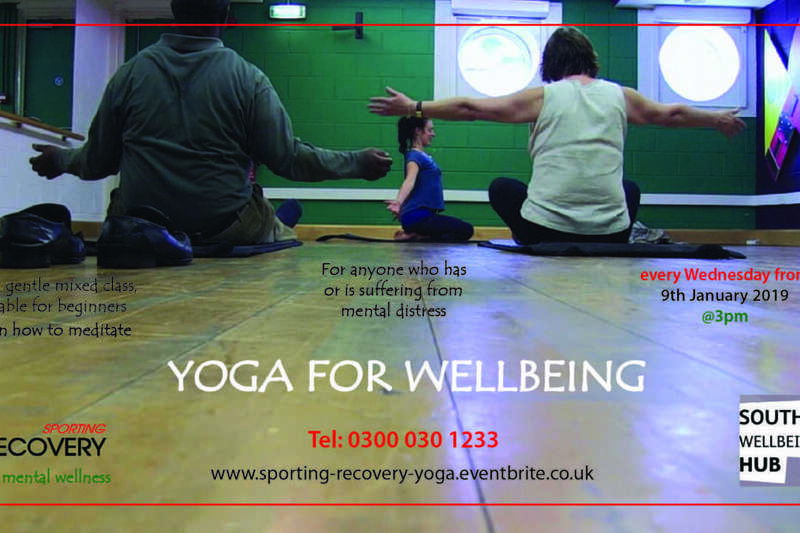 Come join our Yoga Classes on Wednesday’s 3 pm till 4 pm at the Damilola Taylor Centre, Peckham, South London, SE15 6DR. Contact help@sportingrecovery.org.uk or 0300 030 1233 for more information and visit www.sportingrecovery.org.uk/how-to-join for a referral form.